With so many fabulous designs now available we know it can be hard to choose the perfect wipe clean tablecloth for your home. If you need some ideas, here we showcase just a few of the new designs we now have in, as well as some of the inspirational customer photos we’ve recently received. 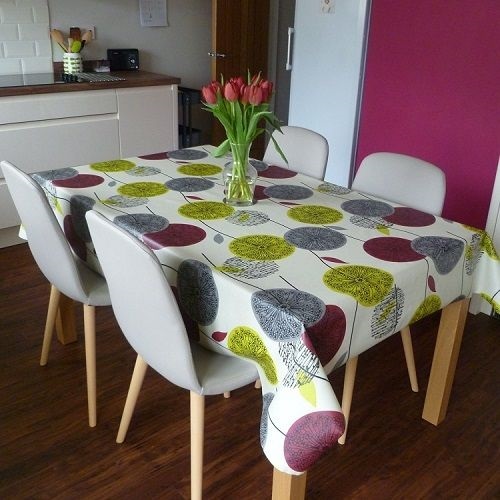 Our Allium Cranberry oilcloth tablecloth has been perfectly matched to a feature wall in this modern kitchen – stunning! 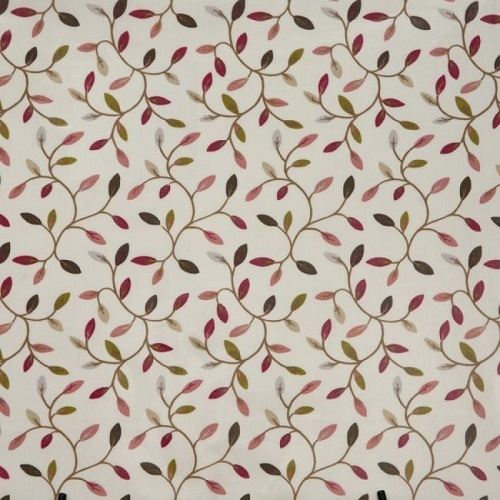 Then you may also like our new Juliet oilcloth tablecloth design featuring a pretty trailing leaf pattern. If you have wooden units or a more traditional feel to your home, then you can’t go wrong with a square or check wipe clean tablecloth. 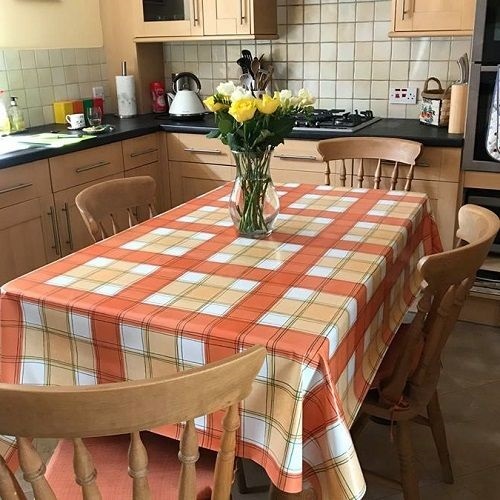 Below, this customer has artfully used Macie Orange PVC tablecloth, we think the colours really enhance the kitchen. 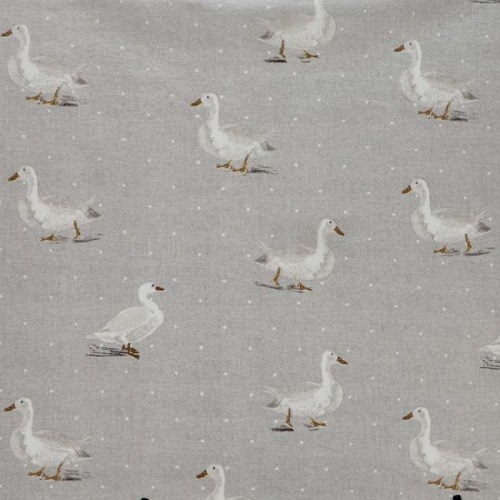 Then take a look at our new Mallard Grey oilcloth tablecloth. Another traditional style with a modern twist. 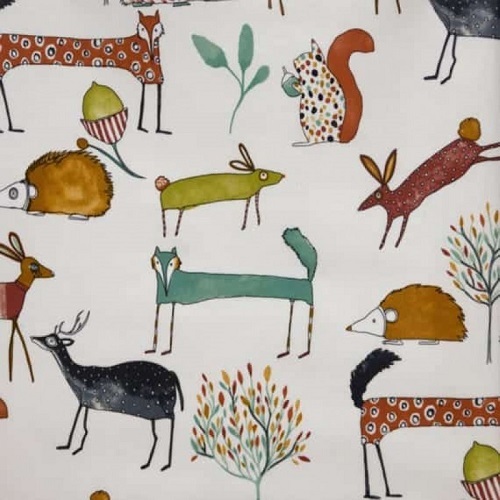 This animal print oilcloth tablecloth – Sausage Fox – demands attention. It’s a great way to make a feature of your kitchen table. 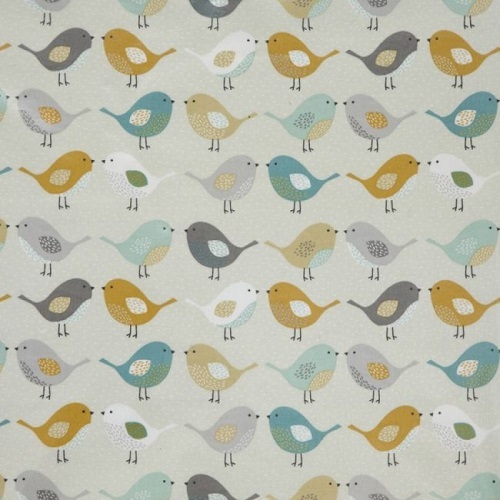 Then take a look at our Birds Ochre oilcloth tablecloth which is also very eye-catching. For more inspiration, take a look at our Facebook page or view All Designs to find your perfect oilcloth or PVC tablecloth.